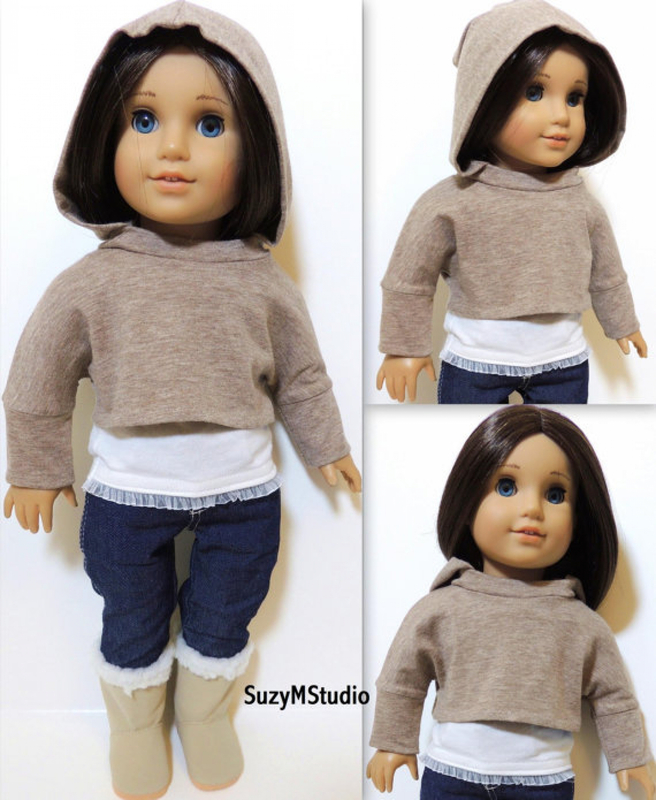 Trendy style and great for Fall and Winter! 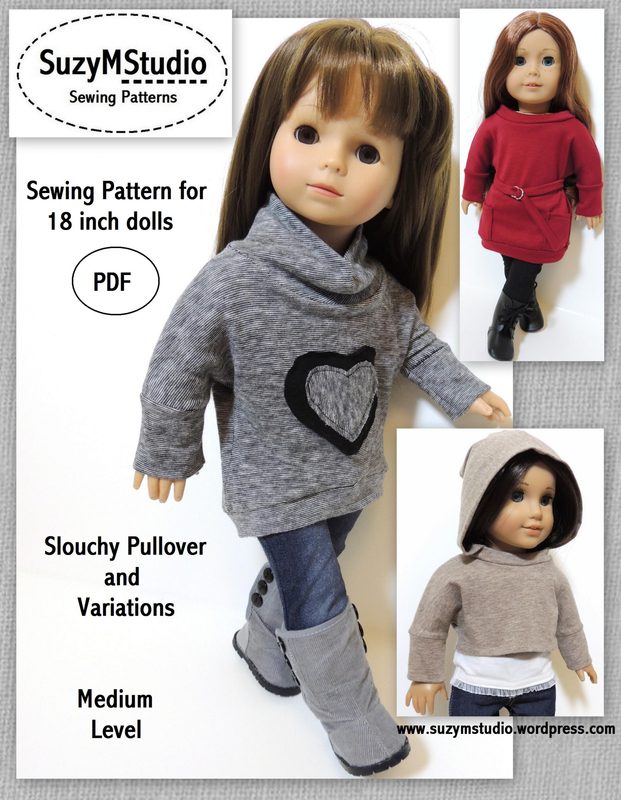 This pattern includes: High Low Slouchy Pullover sweater with heart applique, Mini Dress and belt and Cropped Pullover with lined detachable hood. 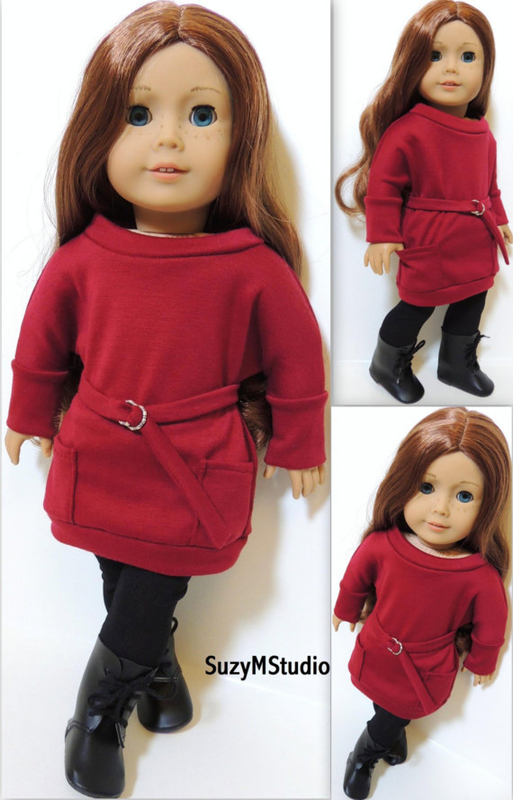 Made to fit 18 inch doll and suitabale for cotton knit fabrics. You will need snaps,small metal or plastic rings and some hand sewing. No velcro needed. All Patterns are delivered via PDF file, you will receive an e-mail with a link and a password to download your pattern after you complete the purchase, save it in your computer as soon as you can. Payment is made through paypal. Any question, please contact me.